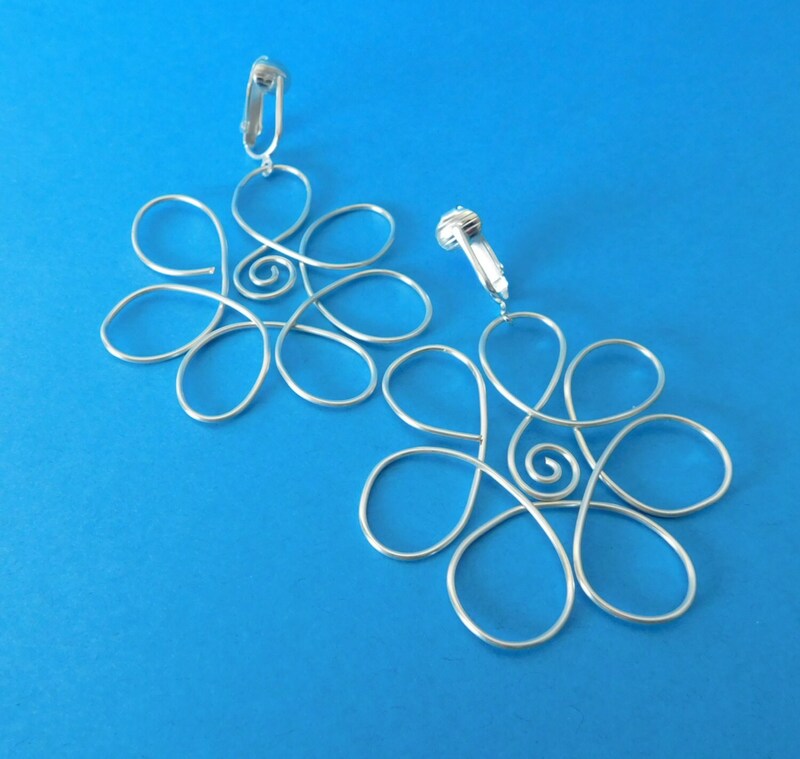 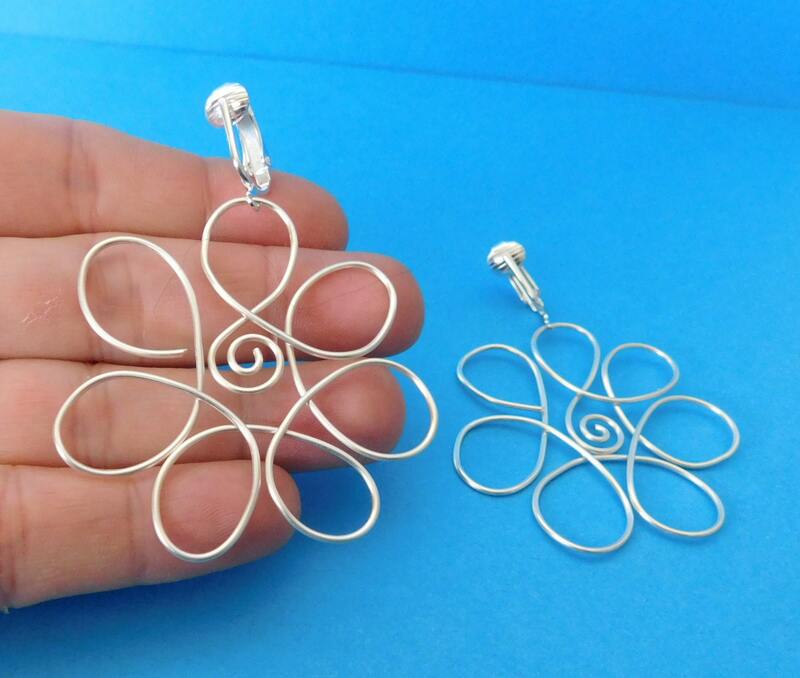 Non tarnish fine silver over copper wire is sculpted into flower designs and hang from a pierced look clip-on earring. 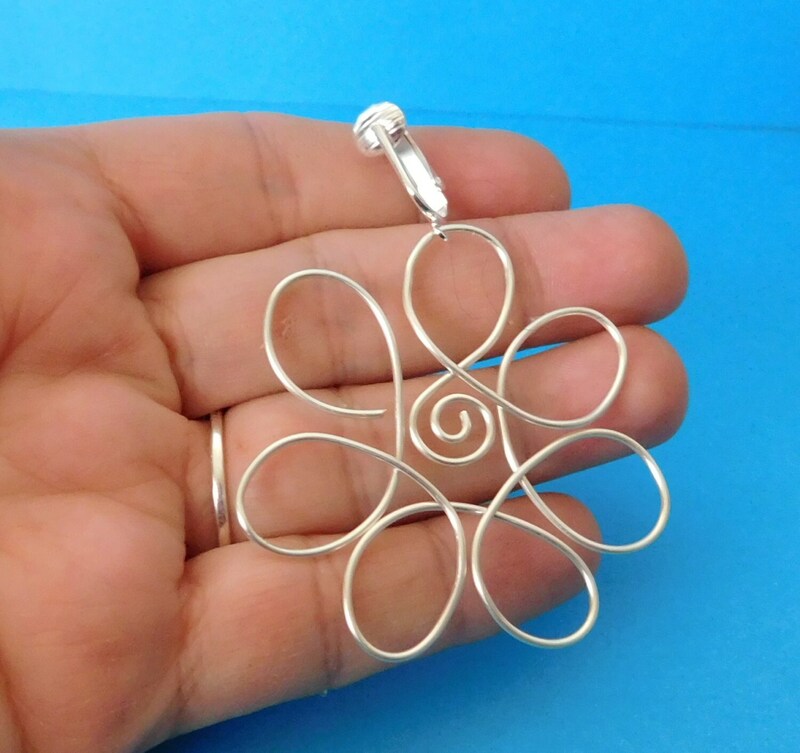 The flowers measure 2 inches across. 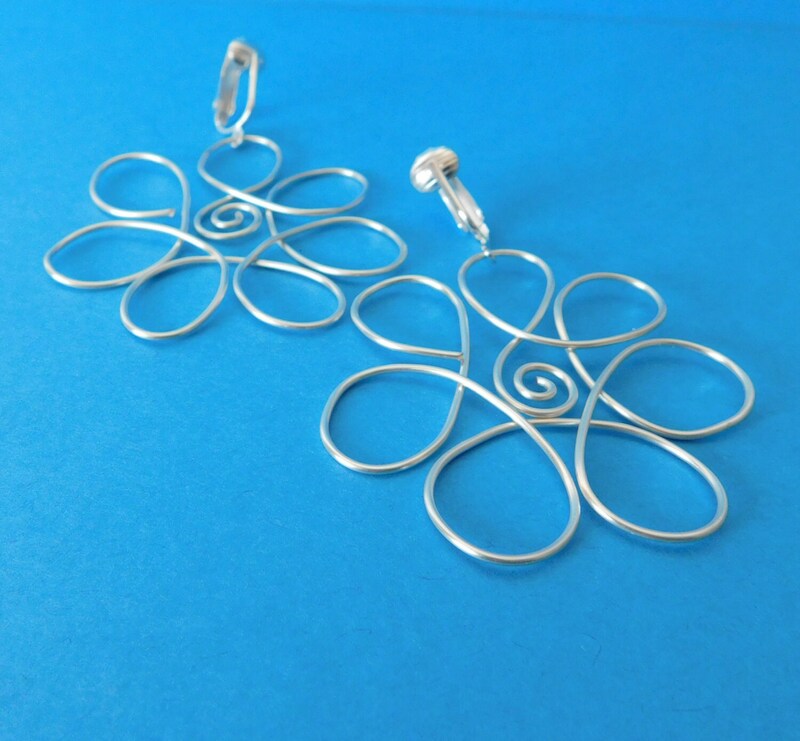 The clip-ons are very comfortable and have the look of a pierced earring. 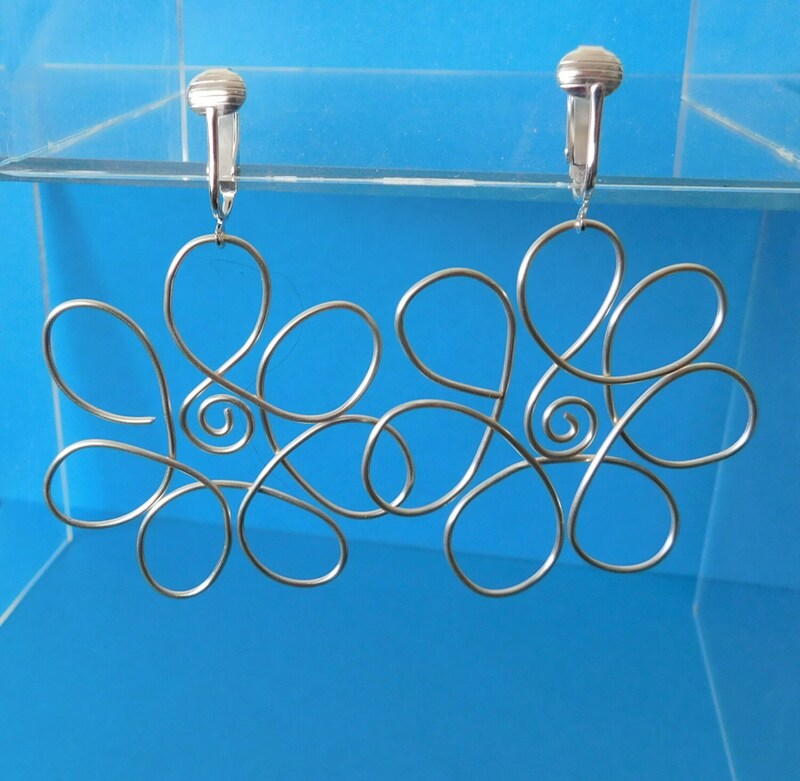 Perfect for those without pierced ears who like the look of pierced, or for young ladies who want to test drive earrings without the commitment of piercing the ears.